Before the very important match between Manchester United and Liverpool came a shocker for Liverpool as Roy Hodgson left the club after mutual consent. 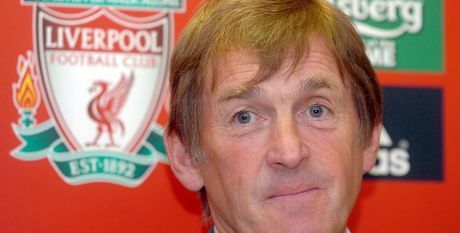 Kenny Dalgish will take over Roy Hodgson , and shall remain till the end of the season. 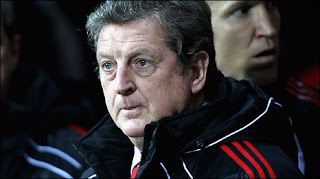 Hodgson had taken over Rafeal Benitez in July 2010 and was able to get seven victories off 20 Premier League games.Currently Liverpool stands on 12th position in the table. "Both parties thought it in the best interests of the club that he stand down," said American owner John W Henry in Liverpool official website. "I have found the last few months some of the most challenging of my career," Hodgson quoted on club's website. Hodgon under his leadership were knocked out of the Carling Cup by League Two Northampton at Anfield on 22 September, while a 2-1 home defeat to Blackpool on 3 October meant they dropped into the bottom three of the top flight for the first time since September 1964. He also lost Argentinian midfielder Javier Mascherano for £17.25m, and spent over about £ 20 m to bring in Poulsen,Wilson, Jones, also Joe Cole and Konchesky. Kenny Danglish won eight league titles with Liverpool as player and manager, between 1985-1991.Also with this he was instrumental in bringing three European Cup victories in the kitty.Lets see what Liverpool future was brought into, after suffering a lot in the past year. Danglish who has been closely associated with this club for quite some time , would be able to understand the psyche of the club and help regaining itself.and it has been a case of thanks but no thanks."